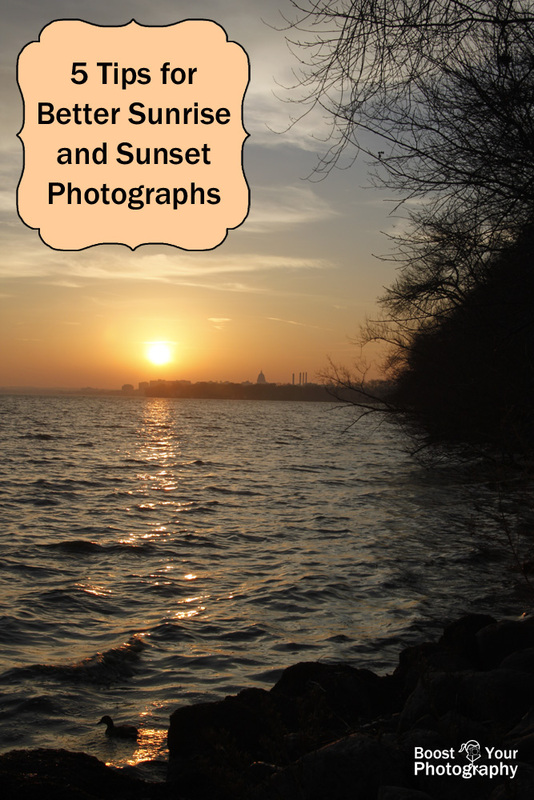 Sunrises and sunsets are a wildly popular subject for photography. 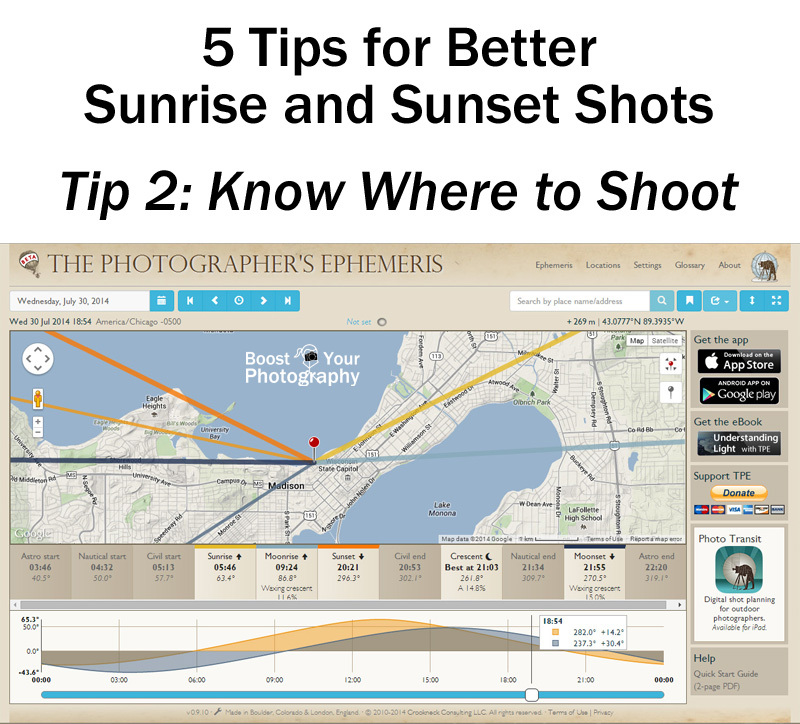 This article will teach you a few simple tips that will make a dramatic impact in your sunrise and sunset shots. 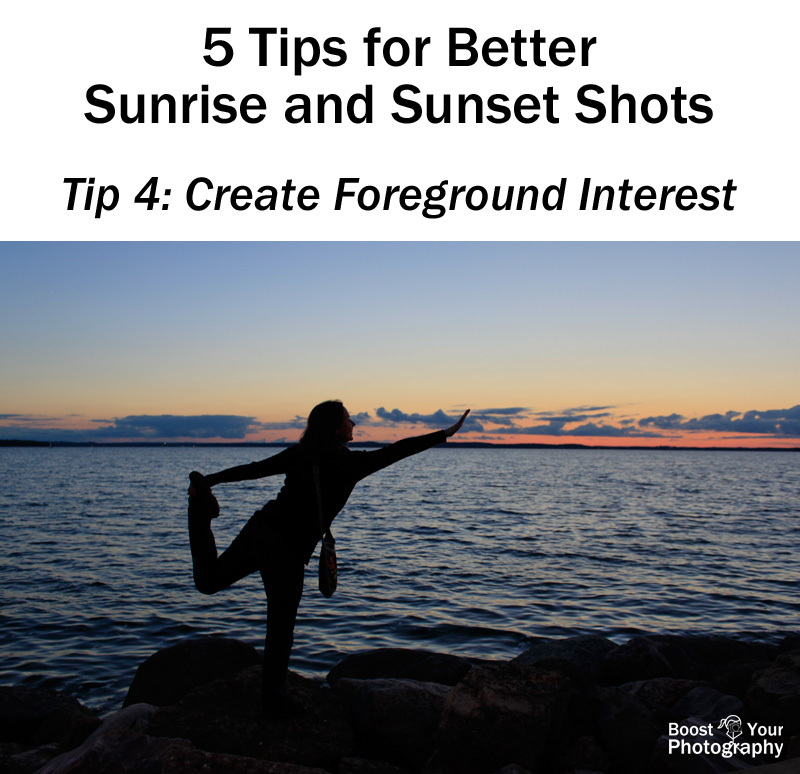 Timing is critical for sunrise and sunset photographs. For best results you want to be in position at least a half an hour to an hour beforehand and stay at least a half an hour to an hour afterwards. Sunlight will continue to strike the clouds and illuminate the sky for some time before the official sunrise and after the official sunset. The ephemeris provides you with sunrise, sunset, moon rise, and moon set times in addition to the angles at which each will be in the sky. You plot your location on the map, and then you can see exactly where the sun will line up when it rises, for example. If you want to capture the sun or moon relative to a specific location or landmark, you can move yourself around on the map and find out exactly where you would have to stand. (You can see more examples and specifics in the article Shoot the Moon with the Photographers' Ephemeris.) 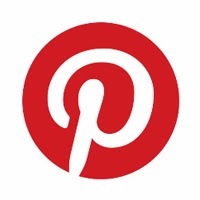 Try it on your computer, and once you realize you cannot live without it, invest in the app. The clouds will make or break your sunrise and sunset photographs. Too many clouds, and you will lose your ability to see the sunrise or sunset. Too few clouds, and you are left watching only subtle changes across a blue sky. 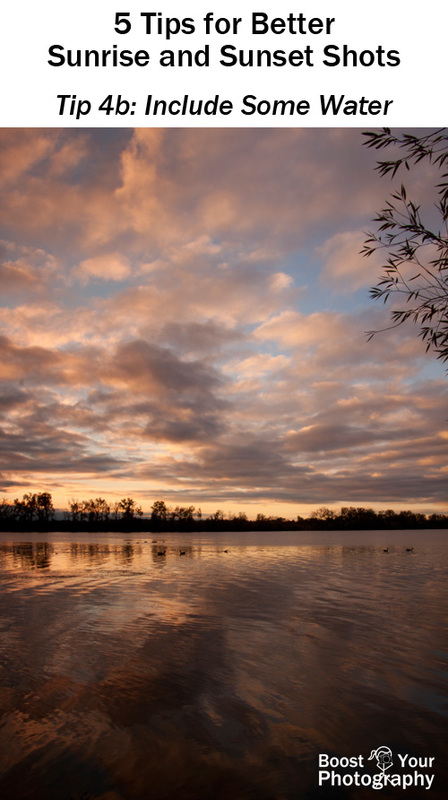 Clouds often provide much of the drama and excitement in sunrise and sunset photographs. Clouds bounce and reflect the varying light of the sun, adding a wide range of colors and tones to your final image. Clouds create patterns and shapes that add interest and textures. 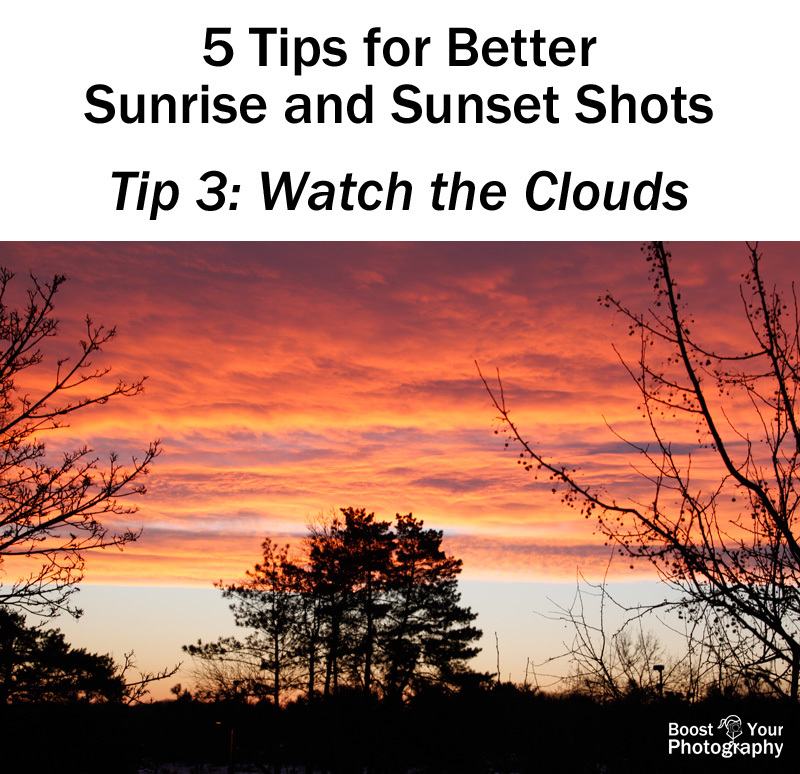 If you want to shoot a better sunrise or sunset shot, you will want to cheer on the clouds. This photo is nothing without these amazing clouds. A sunrise or sunset is just a sunrise or sunset unless you provide some additional interest within the frame. If you want to make your sunrise and sunset photographs stand out, then you need to pay attention to your foreground. This is really an extension of the idea of foreground interest, but water is a clear winner when shooting sunrise and sunset shots. Ponds, rivers, lakes, or even the ocean create a vast canvas for your sunrise or sunset shots. Still water creates stunning reflections that can double the light and drama of the scene. Even moving water will reflect and bounce around the light, adding interest and color to your photographs. Larger bodies of water also provide a wide-open canvas for your photograph. Water can eliminate much of the clutter of daily life (telephone wires, that tree that blocks your view, and on and on). You often see a much wider expanse of the sky as well, allowing you more options: from expansive wide-angle shots to narrow, zoomed-in views. 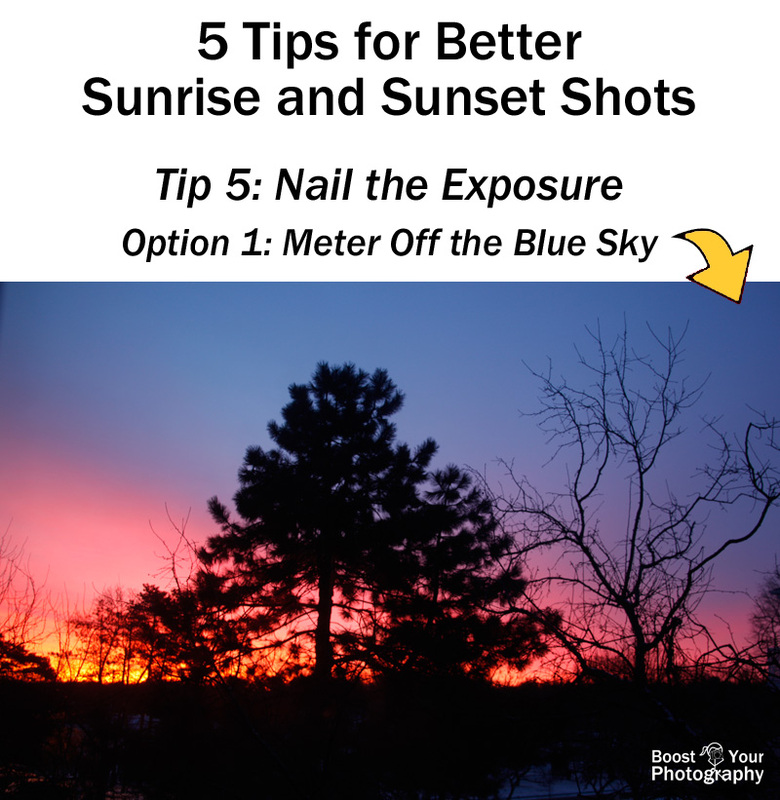 Sunrise and sunset shots are difficult for your camera to accurately choose the exposure, and if you let your camera control exposure you will find that the shots you take do not match the vision or grandeur of the sunrise or sunset you witnessed. Of course, as with most photography, the key elements in getting the best sunrise and sunset photographs are time and patience. 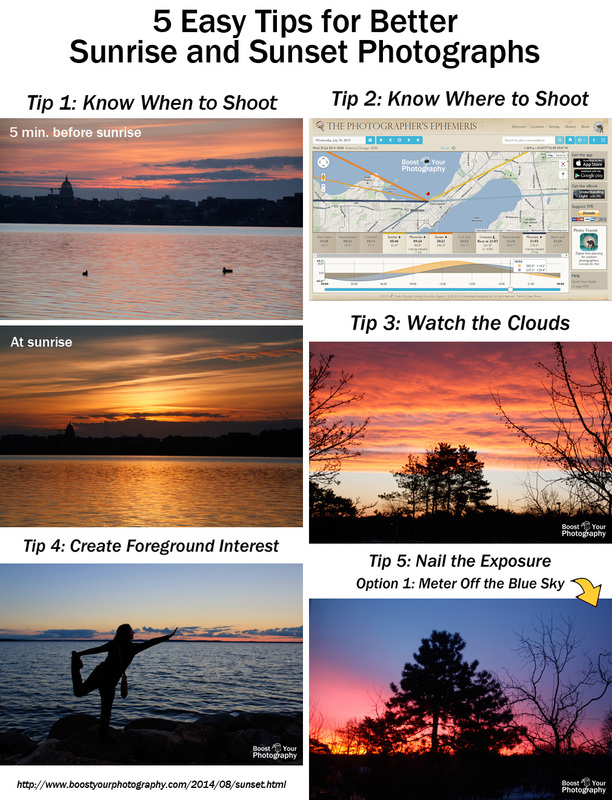 Make a commitment this week and plan time in your schedule for photographing either a sunrise or sunset. Put all or just a few of these tips into practice, and see what kind of an impact they can make for you!